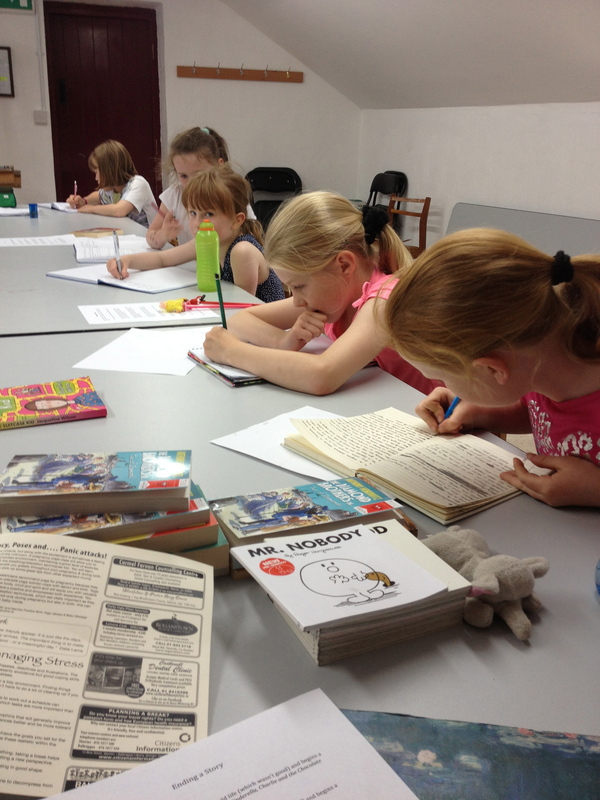 My first children’s creative writing summer camp in Skerries Mills was a great success with a wonderful group of nine clever girls. We wrote stories about dancers, scary step-fathers, lost dogs, blind and deaf twins, little girls who wanted to be pop-stars, a unicorn called Diablo and being deserted on an island. 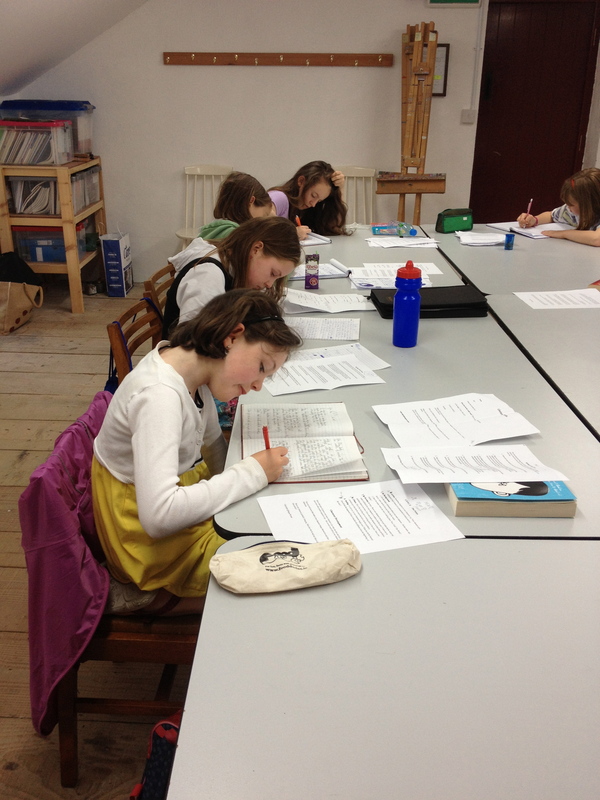 Here are some photos of the girls writing their stories.